Google search quality guidelines allow raters to assign values to various search result pages. These guidelines have recently been updated, but they will not directly affect the ranking of specific web pages. Instead, they will allow Google to receive valuable feedback on how useful their search algorithm is. With this information, the search engine will be able to come up with new policies and may improve its algorithm in order to offer high-quality search results. Before assigning a rating to a particular search page, raters will have first to determine the purpose of the search. The top results given by the search engine will then be checked for relevance, regardless of the type of web pages listed. For example, a serious page will not necessarily have to be ranked higher than a humour page. If the humour website provides results that satisfy the specific search query, the search page will be given a higher quality rating. The actual purpose of a page may be to entertain, inform, share photos or even share personal information. Previously, Google has been focused on the quality of the websites and not the actual creators of the content. A site might have a weak ‘About Us’ page, but the contributors are respectable and well-versed on the topics in which they are involved. The raters will now have to give ratings based on the quality of the content makers themselves and not just the quality of the website. This rule will also affect other non-written contents such as videos and photos. This rule makes sense since many people with excellent reputations are poorly ranked on the search engines. This change might mean that websites will have to include the by-lines of their authors. Titles of web pages will also be scrutinised thoroughly. The goal of this update is to eliminate clickbait titles. The raters will have to check the titles on the top results and determine whether the content was up to the standards set by the titles. This means websites with extremely sensual titles will either have to get content that matches the emotions in the title, or water down their language. This is also a useful update since it will reduce the number of spam websites ranked highly on Google. Some websites are created for the sole purpose of ranking highly for certain search queries. Google intends to check their efficiency at eliminating such sites using the beneficial purpose policy. Under this policy, the raters will have to give ratings to the search pages based on how much they benefit the users. 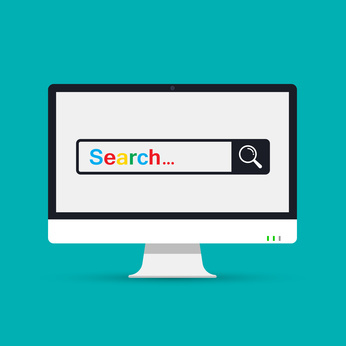 If the purpose of a search query was to provide entertainment, the raters will assign values based on how much the results would satisfy a user. In the same vein, the purpose of videos has been changed slightly. Previously, the raters simply had to check whether the video was worth watching. Now, they have to determine whether the videos displayed on the search engines are worth sharing. Blog posts will also be rated based on how much users would want to share their contents. Your Money or Your Life pages are those which carry information that is considered sensitive. In real life, such information is usually relayed legally by a professional. Web pages that fall in this category may be in the fields of law, health or finance. In the latest update, safety has been included as a determinant of whether a web page falls under the definition of Your Money or Your Life information. The overall rating of a page will be given based on how well the page achieves its purpose of satisfying the users. These pages can be rated in these levels: Lowest, low, medium, high, highest. Certain pages will be given the lowest rating without the need of thorough evaluation. These include pages that intentionally cause harm, spread hate, misinform, or deceive. Pages that do not make any attempt to help users will also be given the lowest ratings. The guidelines are elaborated further for websites in sensitive fields such as medicine, finance, and law. For such sites, the content must be created by people who have received relevant certification. Also, the pages have to be edited, reviewed and updated regularly. News sites can only be candidates for high EAT rankings if they are published with journalistic professionalism. Google search quality guidelines were first released to the public in 2015, and since then, all updates have been published publicly. The instructions are used by raters to determine the efficiency of the Google search algorithm. As noted before, these updates will not directly affect any individual web page or search result. They are only meant to show the company how they can improve their search algorithm. The most significant change in the guidelines is the consideration of the reputation of individual content creators. This update is likely to force many websites to include by-lines of their authors. Also, content creators will have to build their bios. This entry was posted in Google, SEO on August 6, 2018 by Pinnacle.